Megan Brennan began her career with the U.S. Postal Service in 1986 as a letter carrier in Lancaster County. 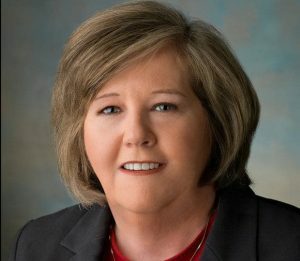 On Sunday, she will assume the organization’s top office as its 74th postmaster general, becoming the first woman to hold the job. Brennan, whose career includes 28 years with the Postal Service, was not available for an interview because she’s “focusing on the organization and transition for the next month,” a spokeswoman said. Her installation ceremony will be held March 6 at Postal Service headquarters in Washington, D.C. A time has not been set. As the new chief executive of the Postal Service, she will oversee 491,000 employees and be responsible for daily operations, including retail sales, mail processing, transportation and delivery. Since 2010, she has served as chief operating officer and executive vice president of the beleaguered organization. In its 2014 fiscal report, the USPS reported a $5.5 billion net loss. “This eighth consecutive annual net loss underscores the need for comprehensive legislation to repair the Postal Service’s broken business model,” according to a USPS news release. Brennan is the “ideal choice” to lead the Postal Service and replace current Postmaster General Patrick Donahoe, a Pittsburgh native who served as the postmaster general in Lancaster County during the 1990s. Donahoe was not available for an interview, a spokeswoman said. He and Brennan have a long history of working together, and the new postmaster general has “demonstrated outstanding vision, leadership and executive ability in her role as chief operating officer,” said Mickey Barnett, chairman of the Postal Service Board of Governors. “She is highly regarded throughout the Postal Service and among the broader community of our major customers and business partners – and rightly so,” he added. Brennan also maintained high delivery performances in the face of a significant and continued reduction in workforce and resources, Barnett said. USPS has about 220,000 fewer employees than it did in 2004, according to a news release. “Megan has managed some very large, complex organization changes and the Postal Service never missed a beat in terms of meeting customer expectations,” he said. As chief operating officer, Brennan led new Sunday delivery services, improved tracking, predictability and reliability, Barnett said. Previously she was vice president of Eastern Area Operations, overseeing a region that included Pennsylvania, Ohio, West Virginia, Delaware, Kentucky, and parts of New Jersey, New York, Virginia and Indiana. Brennan is a graduate of Immaculata College in Pennsylvania. She is also a Sloan Fellow and earned a Master of Business Administration degree from the Massachusetts Institute of Technology. via New postmaster general started as letter carrier in Lancaster | PennLive.com. This entry was posted in General Union Business and tagged Brennan, Donahoe, Mickey Barnett, new chief executive of the Postal Service, PMG, Postal Service Board of Governors, Postmaster General. Bookmark the permalink.